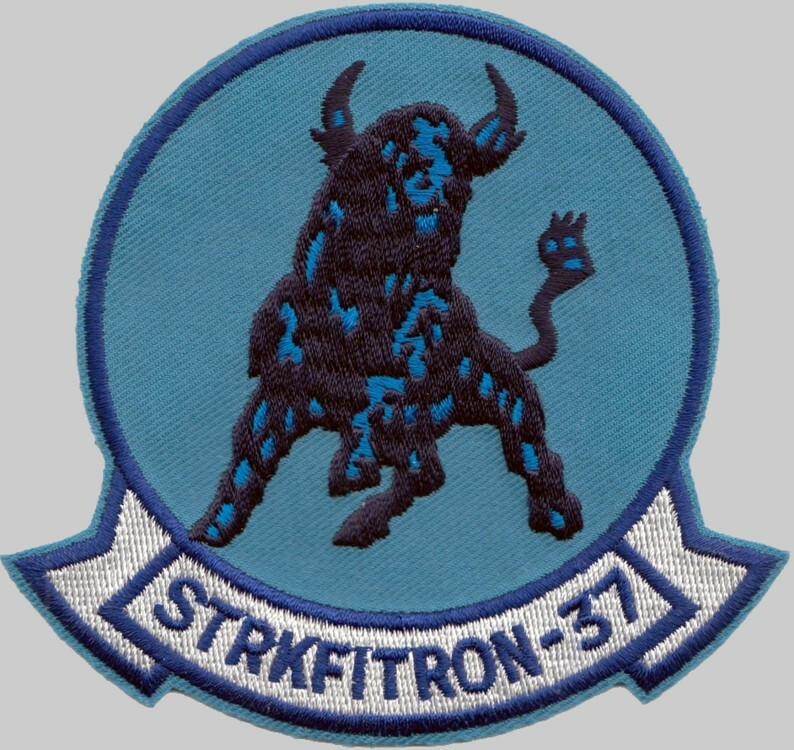 Attack Squadron Three Seven was established as an A-7A squadron in July 1966. 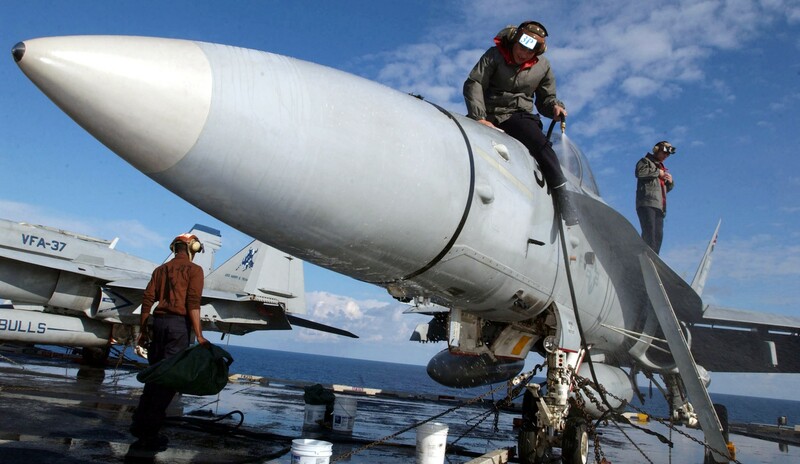 The Bulls became operational in December 1967, first deploying aboard the USS Kitty Hawk (CV 63) in 1969. 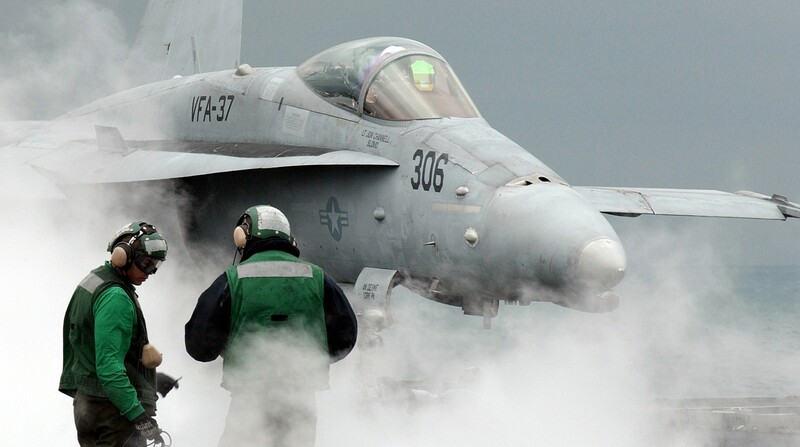 VFA-37 has deployed 24 times on the decks of nine different aircraft carriers during their 42-year history. 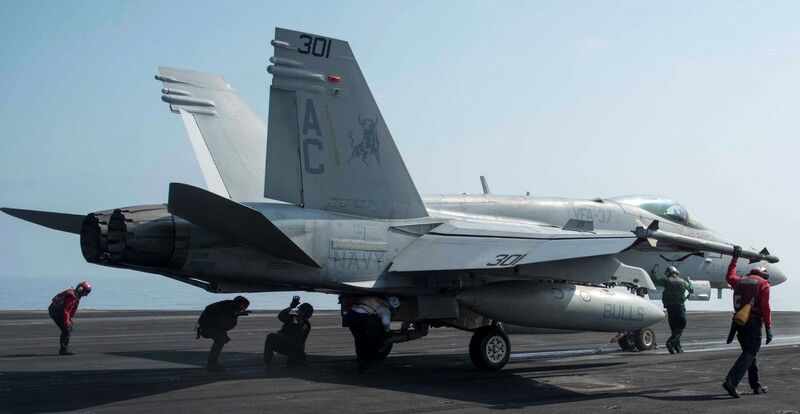 The Bulls have carried out the light attack mission in the Indian Ocean, twice in Vietnam, once in Iwakuni, Japan, and made one "Around-the World" cruise aboard the USS Carl Vinson (CVN 70). 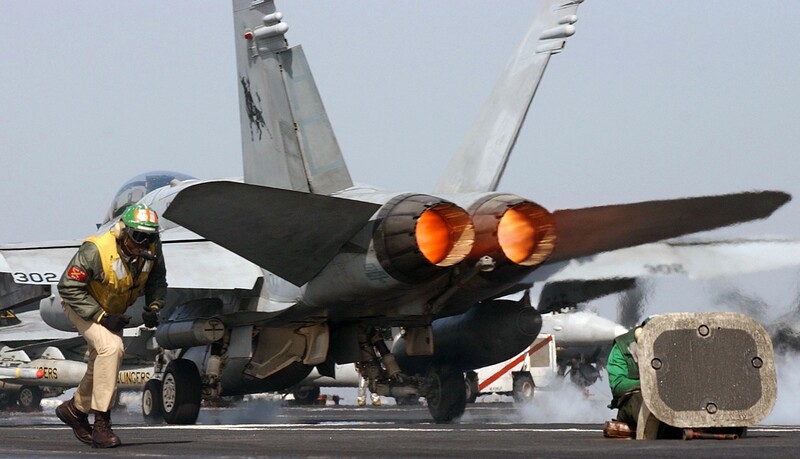 During the squadron's second tour to Vietnam, aboard USS Saratoga (CV 60), the Bulls arrived on Yankee Station in May 1972 and commenced nine consecutive months of combat operations, flying nearly 2,800 missions and dropping over 3,100 tons of ordnance. 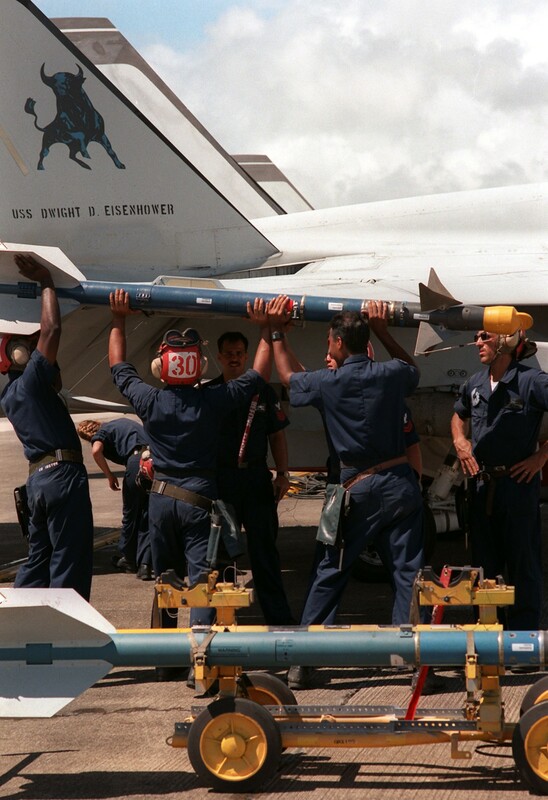 In April 1973, the Bulls received their first A-7E, an advanced version of the A-7A. 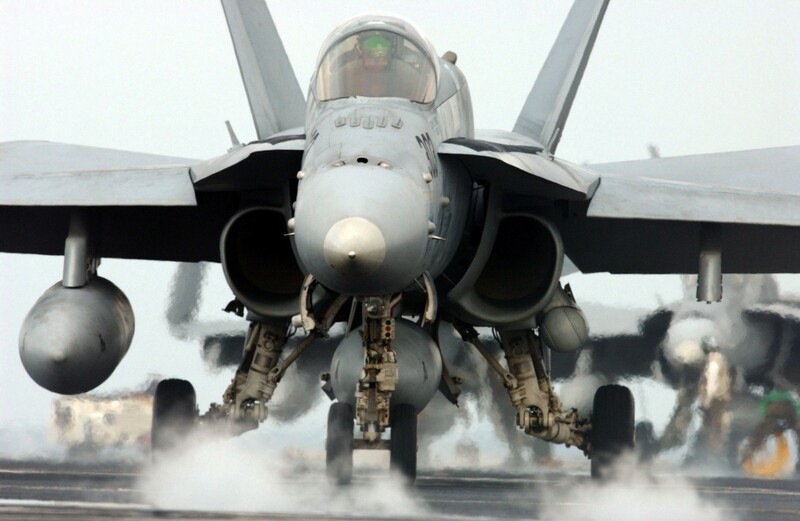 It incorporated improved navigation and weapons systems, state of the art avionics, and greater aircraft performance. 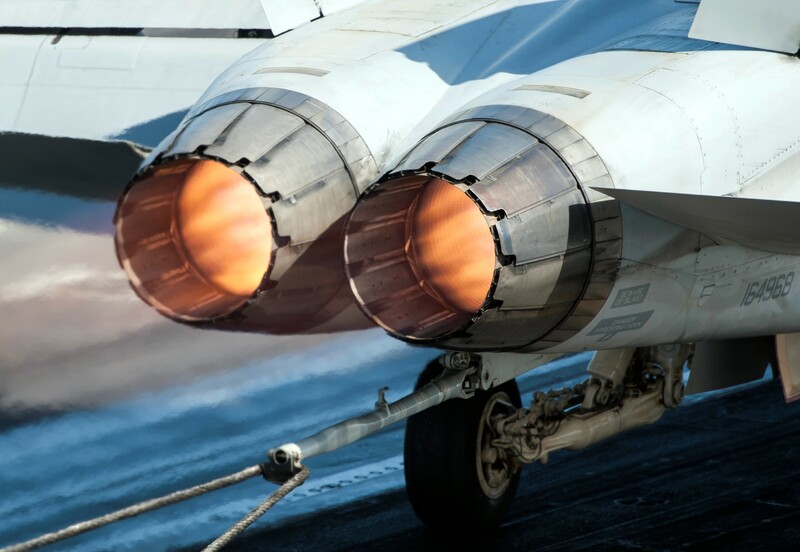 The Bulls made seven cruises with the A-7E during the latter part of the 1970s and early 1980s. 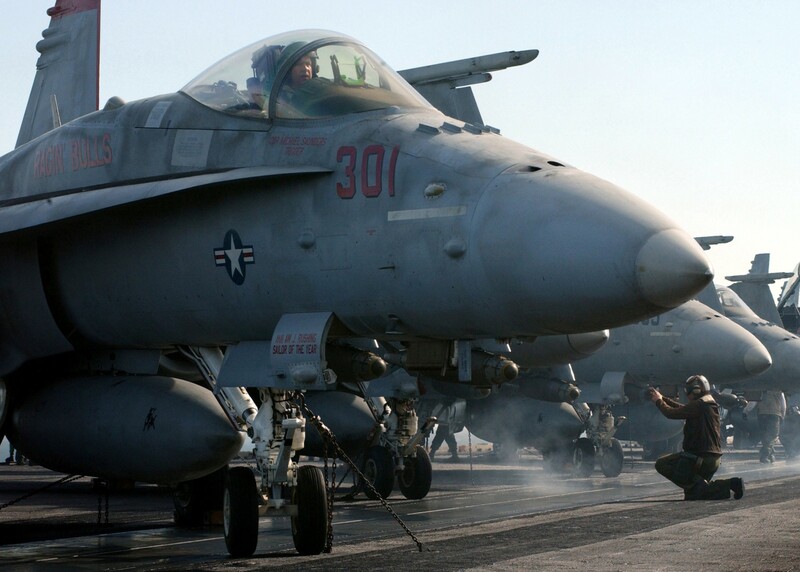 During this time, VA-37 responded to several regional crises in the Mediterranean Sea and Indian Ocean. 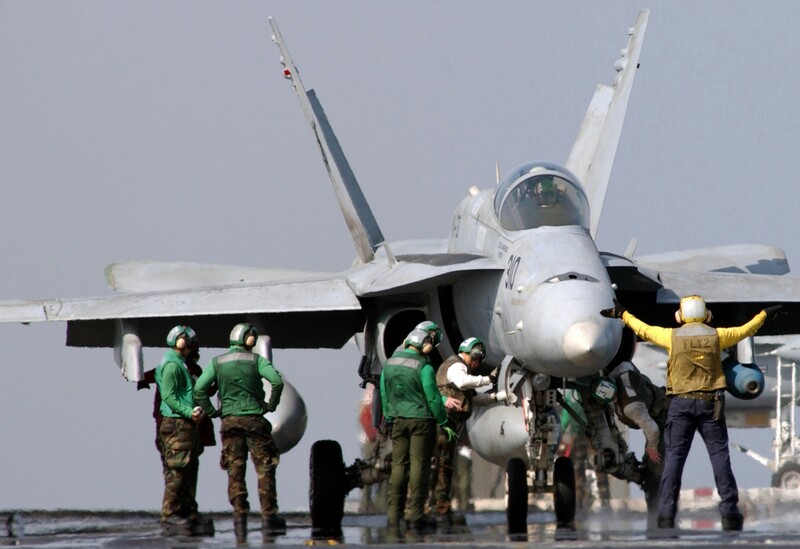 In 1984, the Bulls deployed to Iwakuni, Japan to operate alongside the U.S. Marine Corps. 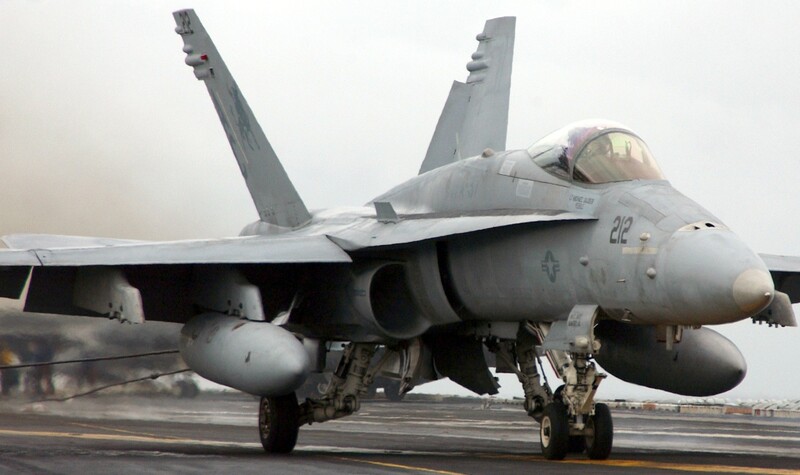 During this deployment, the Bulls detached to Yechon, Korea, thus becoming the first Navy aircraft squadron to deploy in field conditions since World War II. 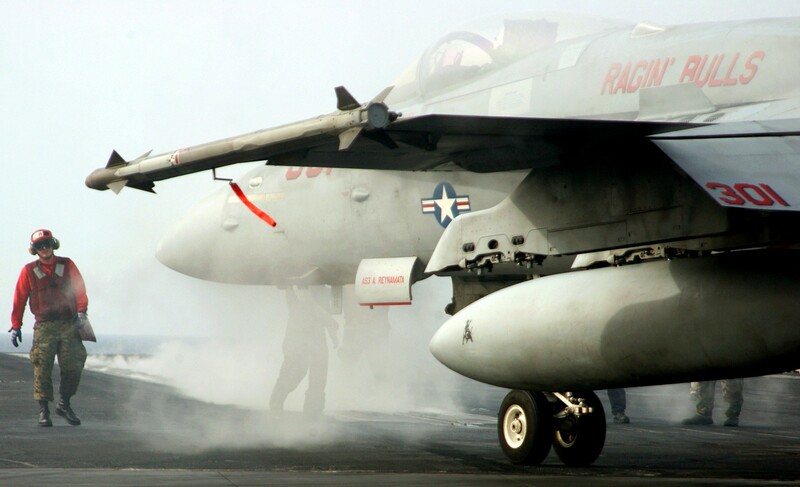 After returning from Japan, the Bulls made three deployments aboard the USS Forrestal (CV 59) to the Mediterranean Sea and Indian Ocean with the 1989-90 Mediterranean cruise being the last in the A-7E Corsair II. 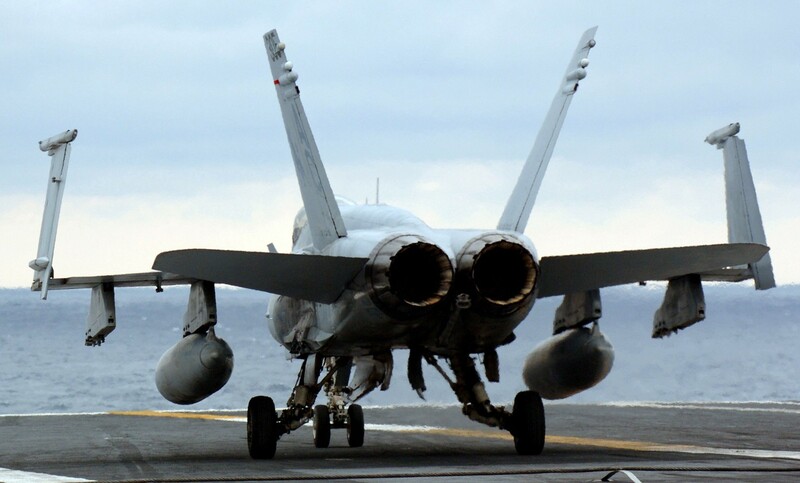 The cruise was culminated by the Bulls winning the Safety "S", Atlantic Fleet Battle "E", and the Golden Tailhook Award (for achieving the highest overall landing grades within Carrier Air Wing Six). 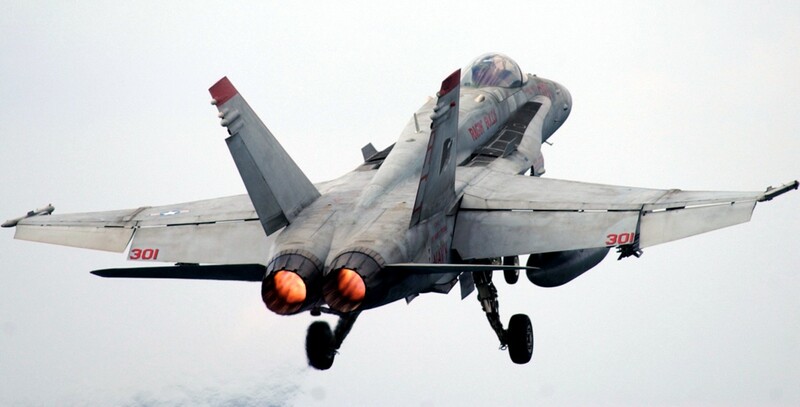 In August 1990, the Bulls were detached from Carrier Air Wing Six and attached to Commander Light Attack Wing One. 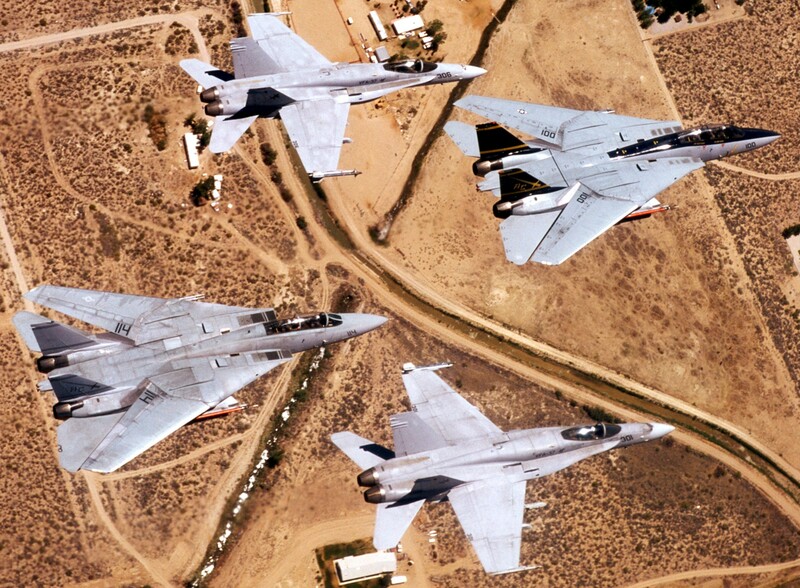 Following the invasion of Kuwait, five Bull jets were transferred to VA-72 for a short-notice deployment in support of Operation Desert Shield. 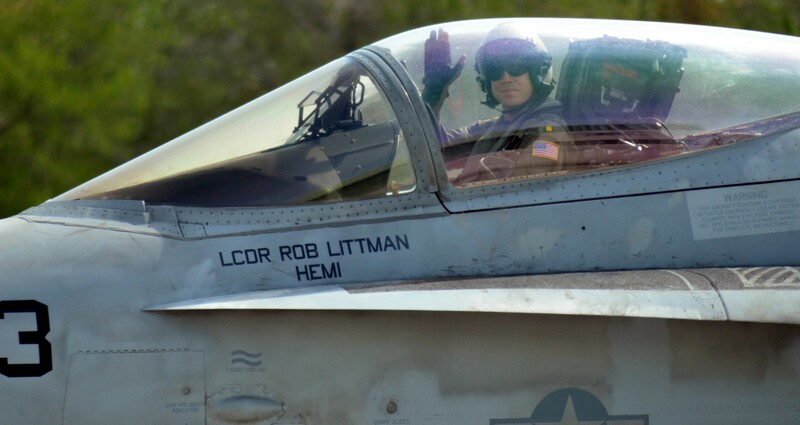 During the next three months, the Bulls provided a cadre of fleet-ready A-7E pilots, aircraft, and maintenance personnel to support the deployed light attack squadrons preparing for combat. 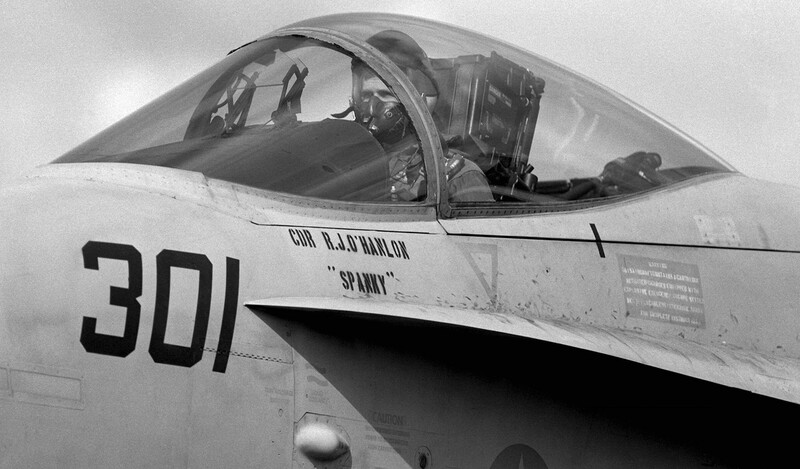 On Oct. 31 1990, Team Bull flew the last official sortie in the A-7E Corsair II. 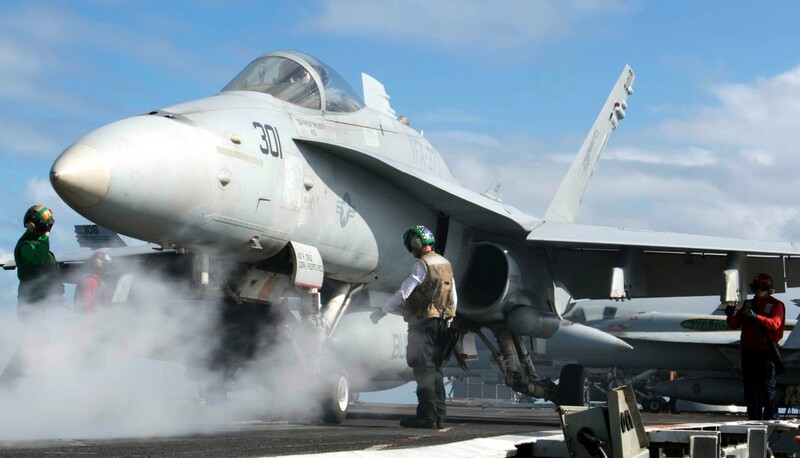 This event ended a 25-year association with the "Harley of the Fleet" in which over 115,000 flight hours and 25,000 arrestments were amassed. 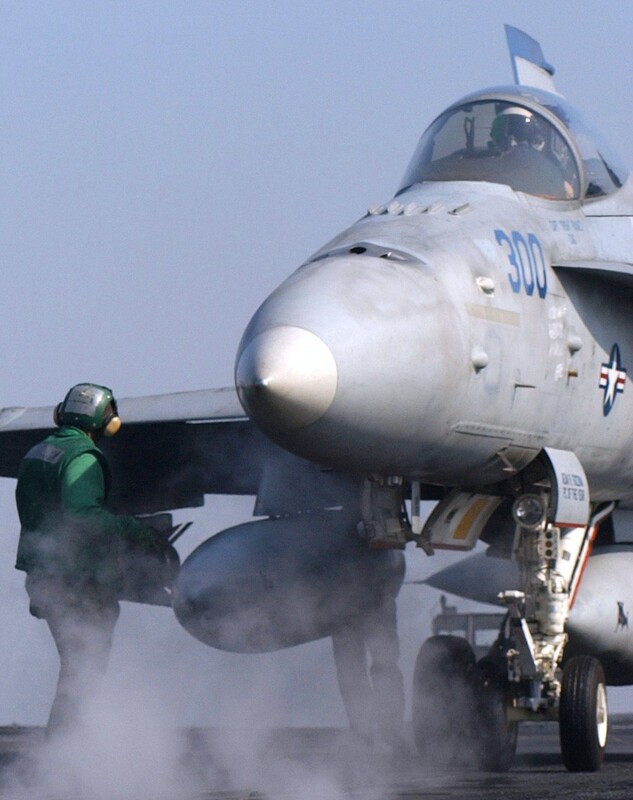 On Nov. 15, 1990 Attack Squadron Three Seven was officially redesignated Strike-Fighter Squadron Three Seven, receiving its first FA-18 Hornet on Dec. 13, 1990. 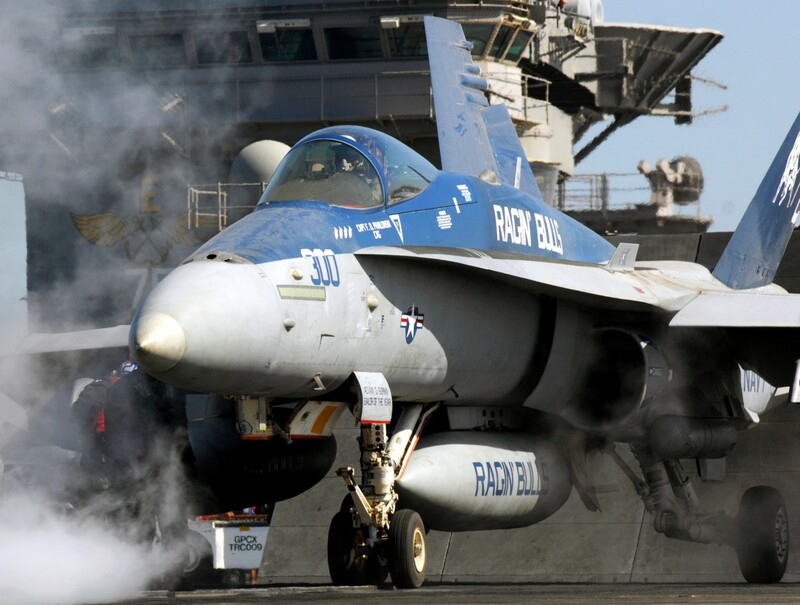 On Sept. 01, 1991 Team Bull, attached to Carrier Air Wing Three (CVW-3), embarked on the USS John F Kennedy (CV 67). 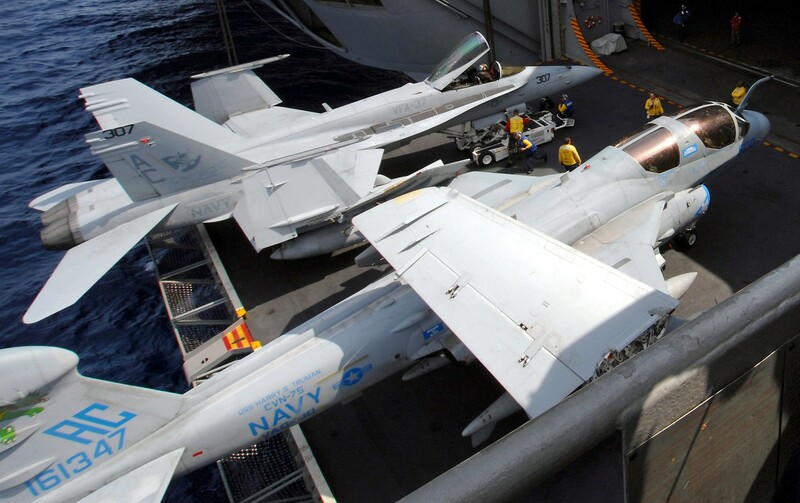 From October 1992 to April 1993, the Bulls deployed to the Mediterranean Sea as part of the John F Kennedy Battle Group. 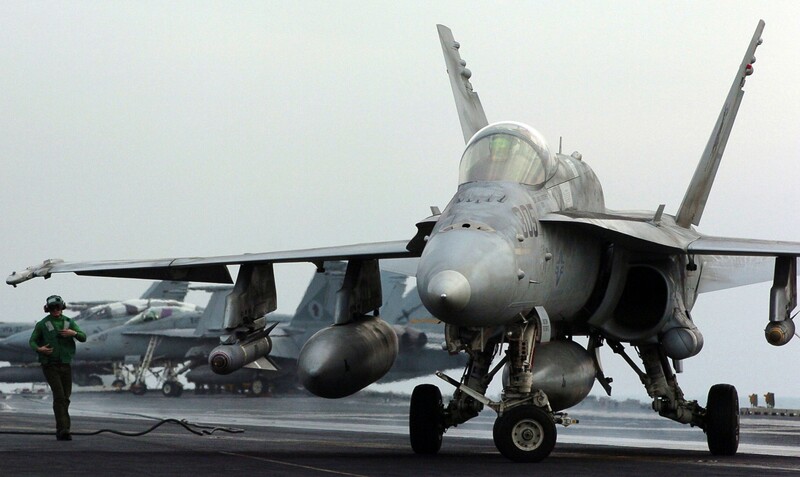 During this deployment, the Bulls participated in many exercises with our allies and were key participants in Operation Provide Comfort in northern Iraq and Operation Provide Promise near the former Yugoslavia. 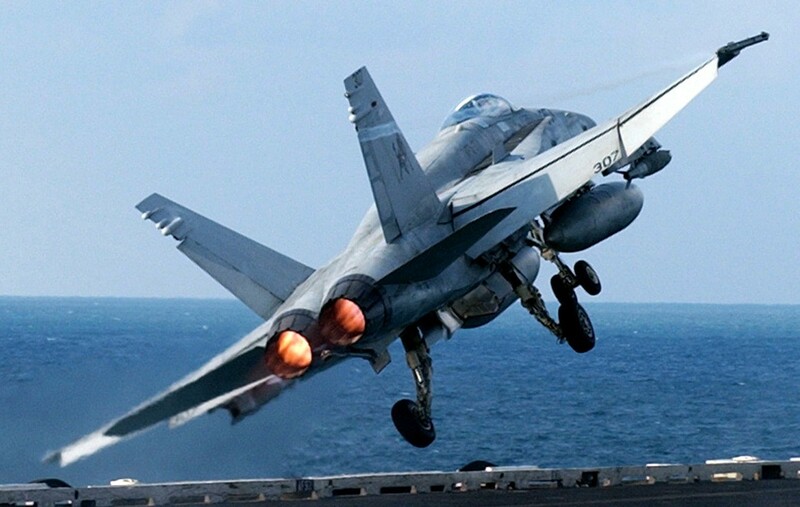 Upon returning from the 1993 Mediterranean cruise, the Bulls began another turn-around cycle. 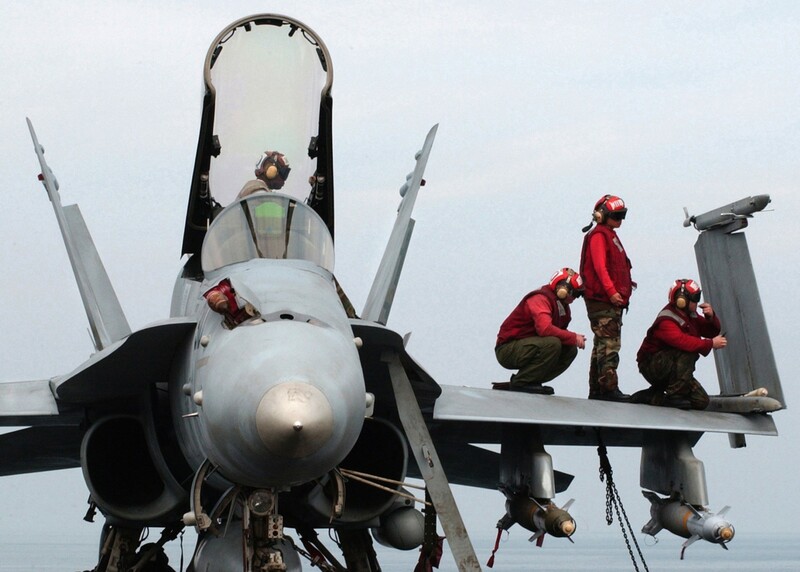 Throughout the year, the squadron continued to refine its air-to-air and air-to-ground tactics in preparation for a six month deployment aboard the USS Dwight D Eisenhower (CVN 69) beginning on Oct. 20, 1994. 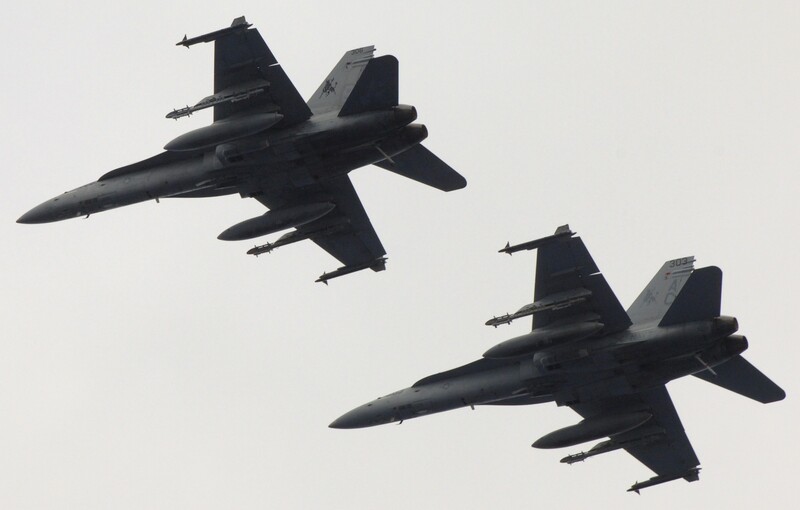 During the Mediterranean Sea and Arabian Gulf cruise, the Bulls flew missions over Iraq in support of Operation Southern Watch and later over Bosnia in support of Operation Deny Flight. 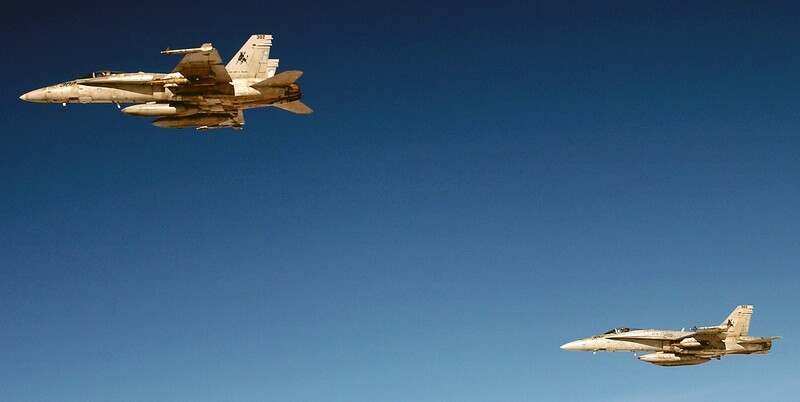 The Bulls also participated in major exercises with the Kuwaitis, Saudis, and Israelis and other NATO allies. 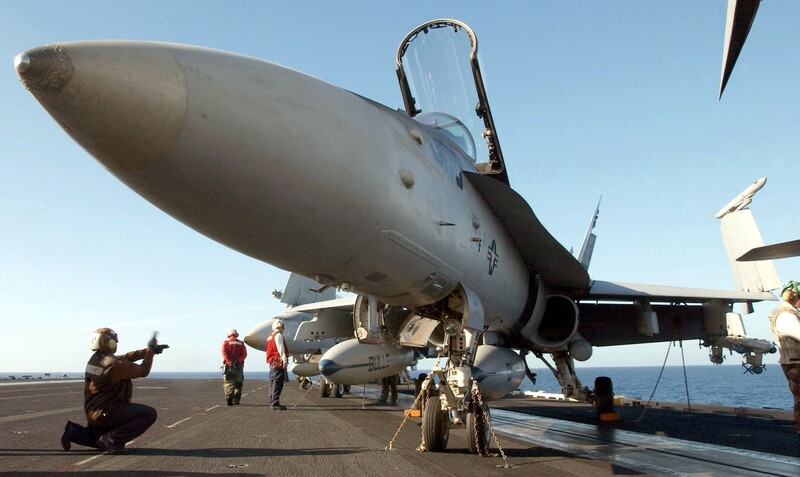 In November 1996, the Bulls embarked onboard USS Theodore Roosevelt (CVN 71) with CVW-3. 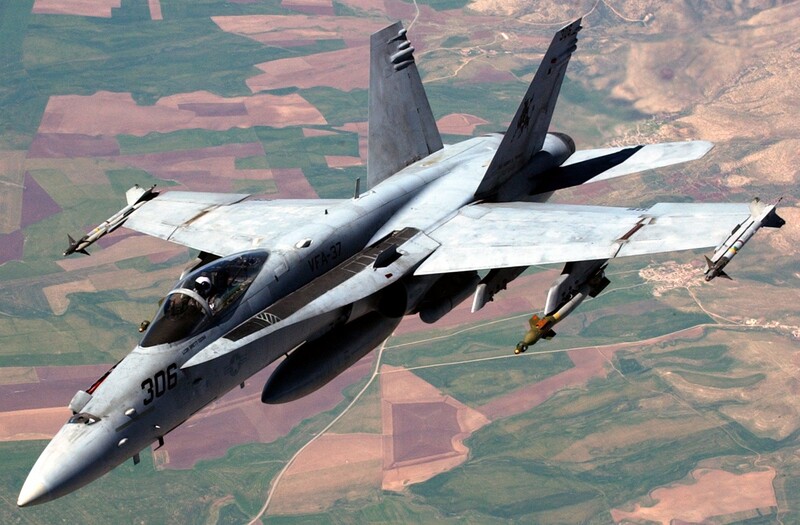 The Bulls flew in support of Operation Southern Watch in Iraq and Operation Deliberate Guard over Bosnia-Herzegovina. 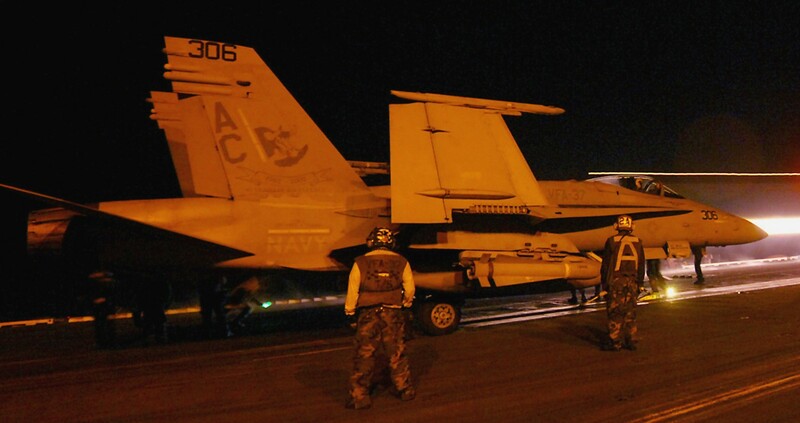 VFA-37 also participated in major exercises throughout the Mediterranean Sea and the Arabian Gulf. 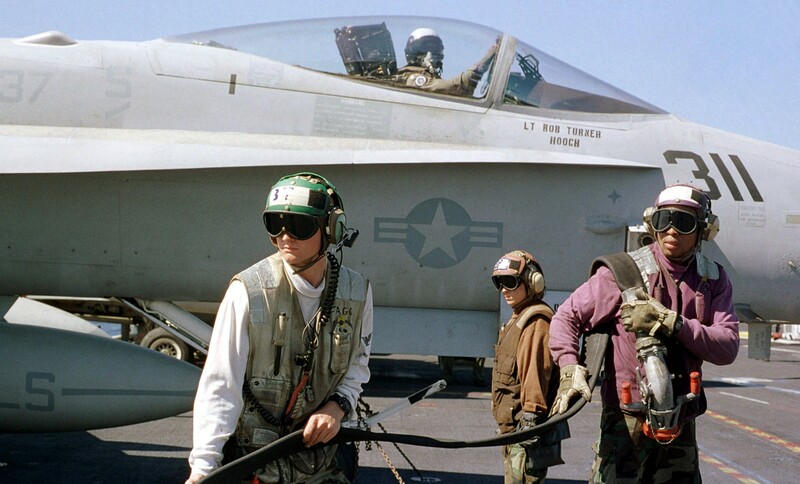 VFA-37 deployed again in November 1998 along with CVW-3 aboard USS Enterprise (CVN 65) and proceeded directly to the Arabian Gulf. 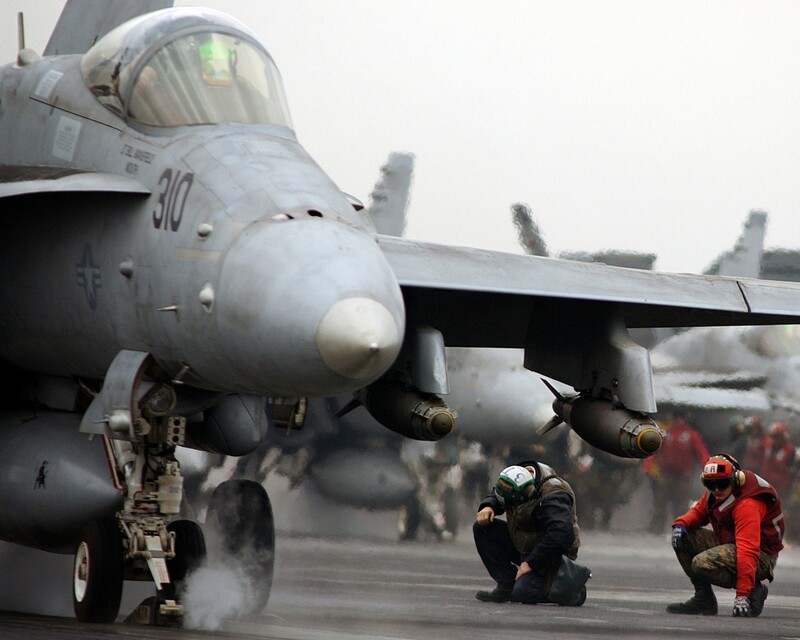 After four weeks of participating in Operation Southern Watch, the executive order was issued for Operation Desert Fox in Iraq. 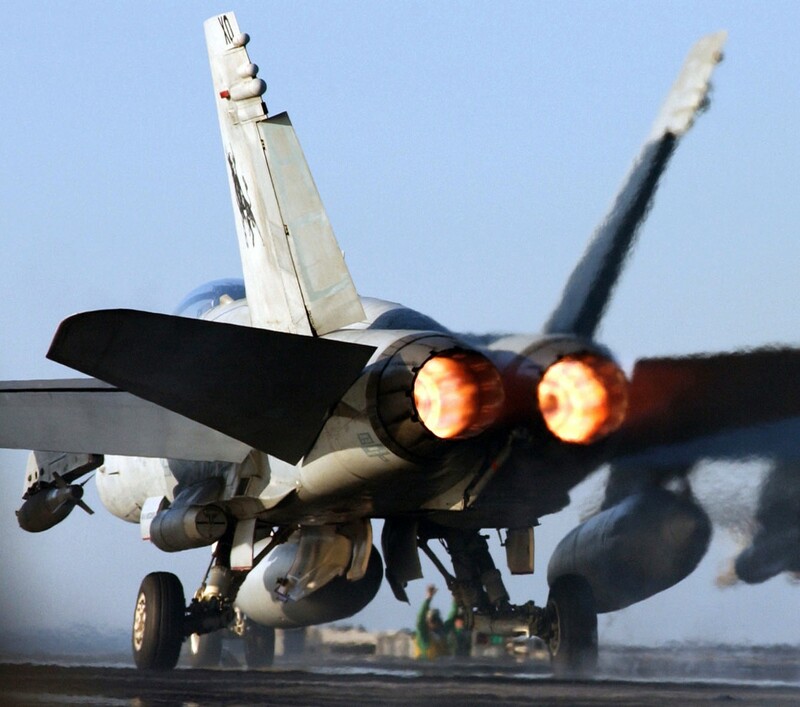 The Bulls performed superbly, flying 44 sorties and delivering 46 tons of ordnance in four nights of sustained combat operations. 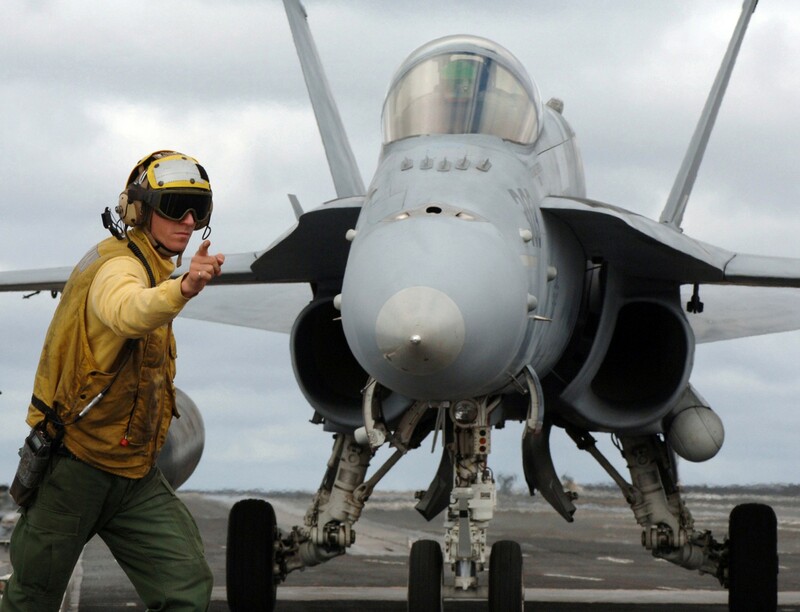 The hit assessment for VFA-37 was the best in the air wing and the operation was completed with no friendly losses. 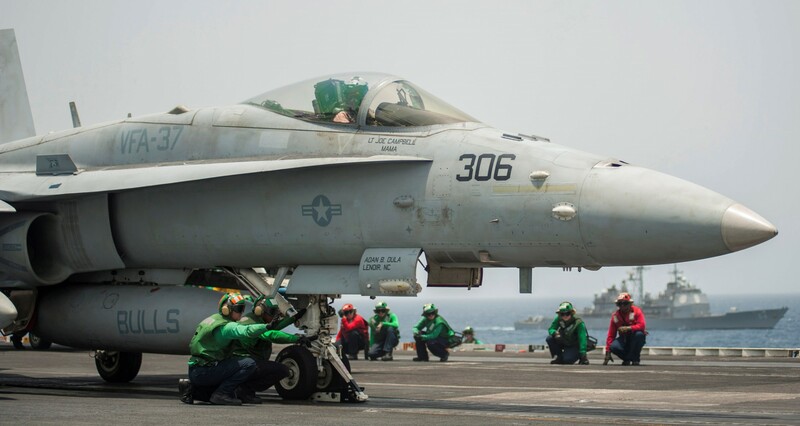 Team Bull and the Enterprise Battle Group left the Arabian Gulf in January. 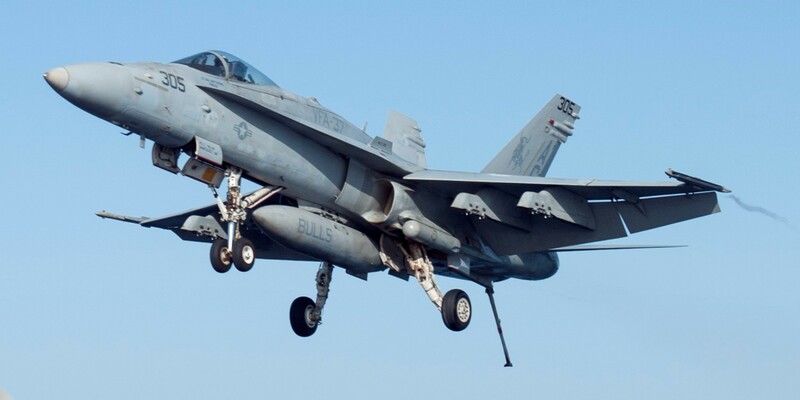 During the next five months of deployment, VFA-37 flew missions over the former Yugoslavia in Operation Deliberate Force and again over Iraq in Operation Southern Watch. 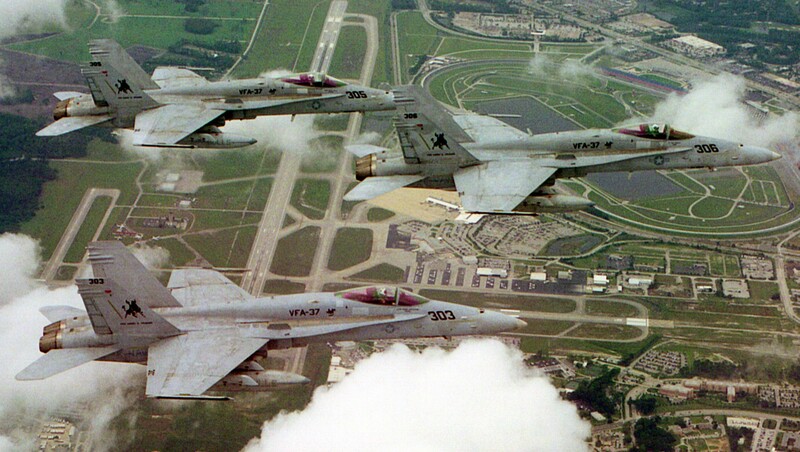 The Ragin’ Bulls relocated from NAS Cecil Field, Florida, to NAS Oceana, Virginia in July 1999. 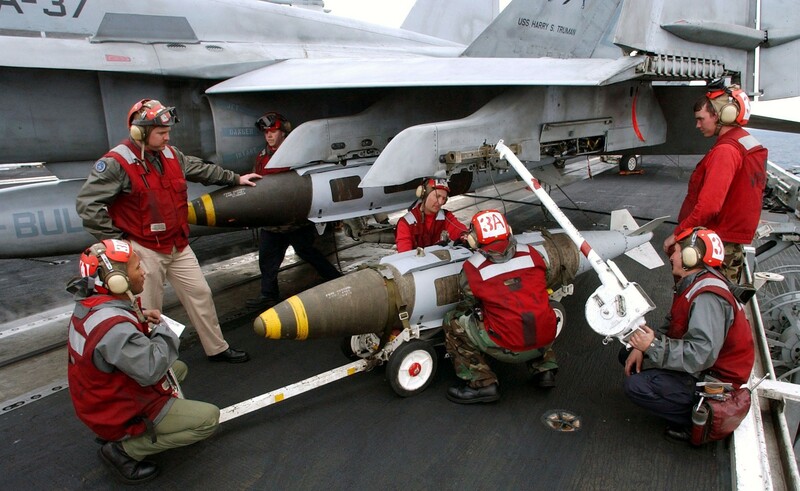 The next major deployment for the Bulls was the maiden voyage of the USS Harry S Truman (CVN-75) in 2000. 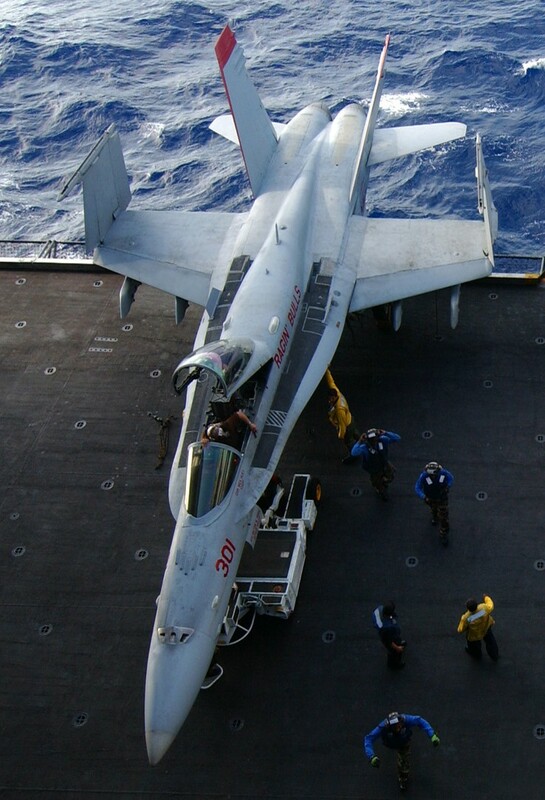 In December 2002, VFA-37 got underway for their second cruise aboard the Truman. On Mar. 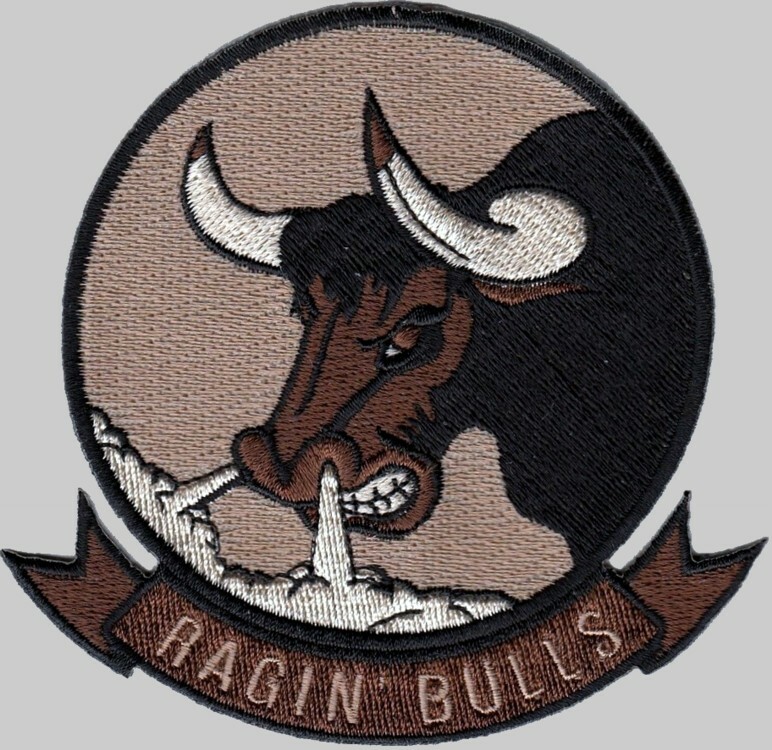 19, 2003 Team Bull joined its band of brothers spearheading combat operations in Operation Iraqi Freedom (OIF). 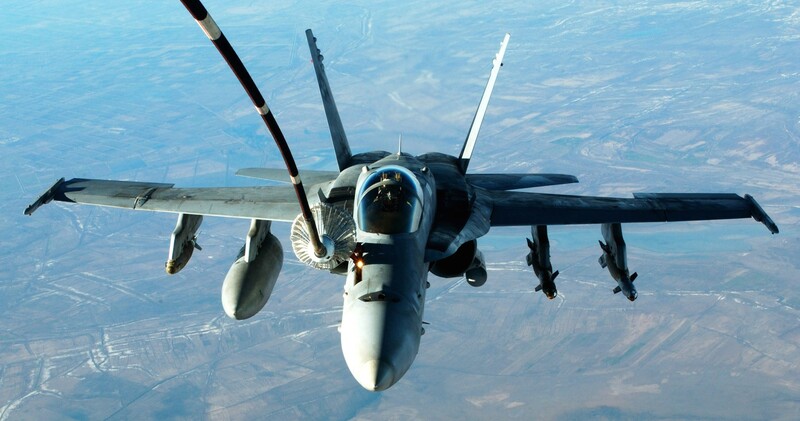 While flying from the Truman in the eastern Mediterranean Sea, the Bulls participated in the "shock and awe" campaign in Southern Iraq before shifting focus to assisting U. S. Forces in Northern Iraq. 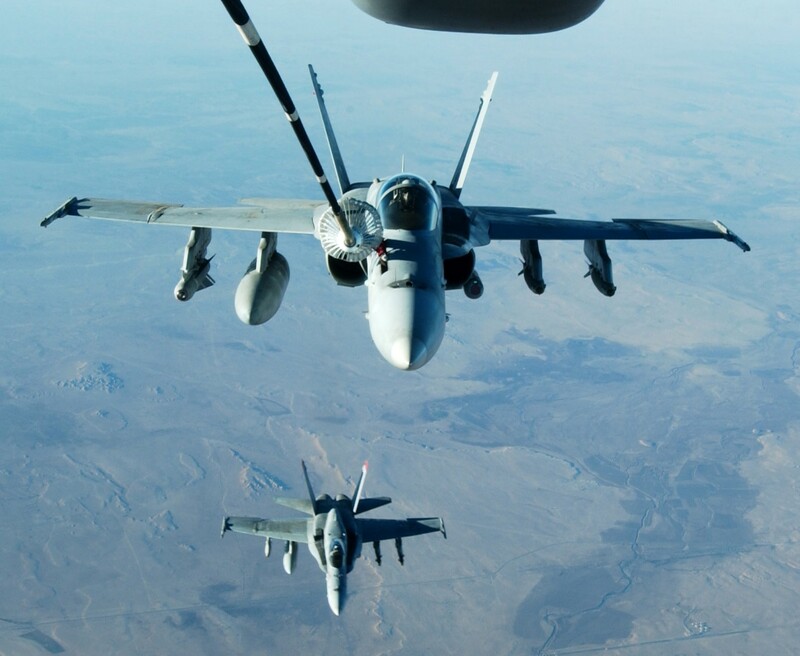 By the end of a successful 30-day air campaign in OIF, the Bulls flew over 1200 hours and 252 combat sorties over Northern Iraq. 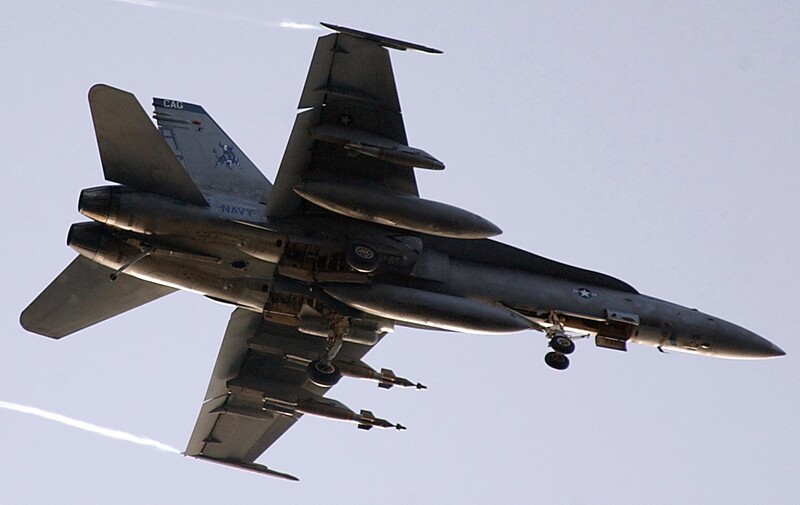 The squadron pilots delivered over 144 tons of ordnance and expended 9400 rounds of 20mm HEI ammunition. 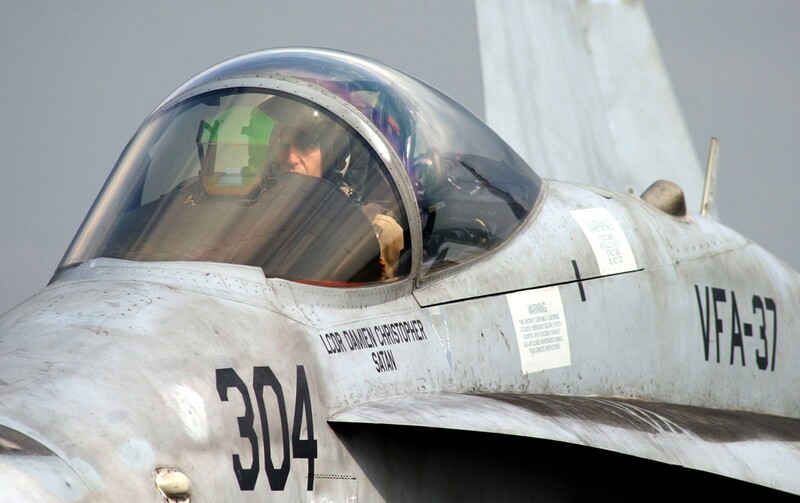 The squadron maintained a 100% combat sortie completion rate and an outstanding safety record. 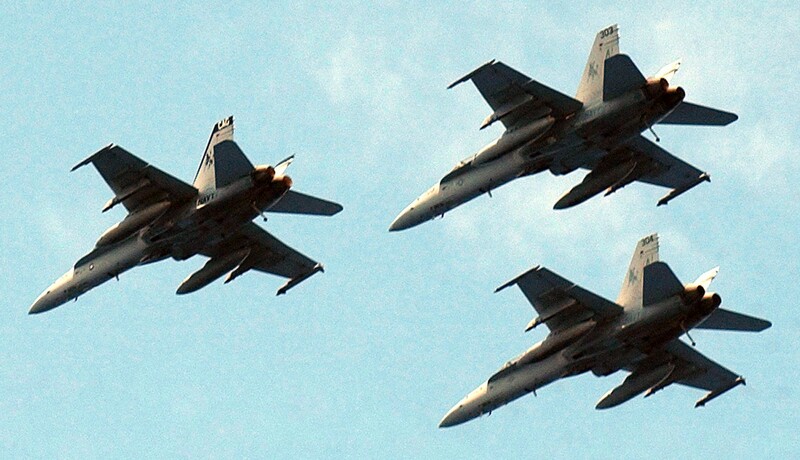 The squadron returned home to Virginia to a heroes' homecoming on Memorial Day, 2003. 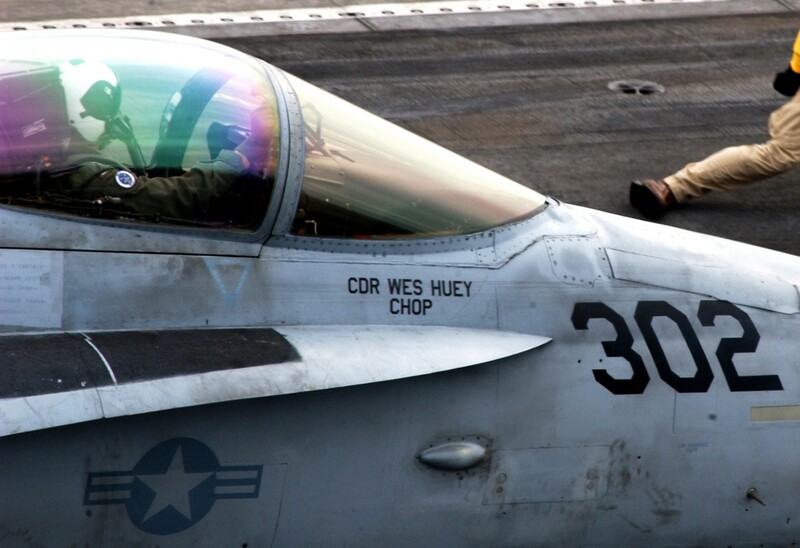 In October 2004, Team Bull and CVW-3 left Norfolk and headed for the Northern Arabian Gulf onboard the Truman. On Nov. 21, 2004 the HST took station on the tip of the spear and began combat operations in support of OIF. 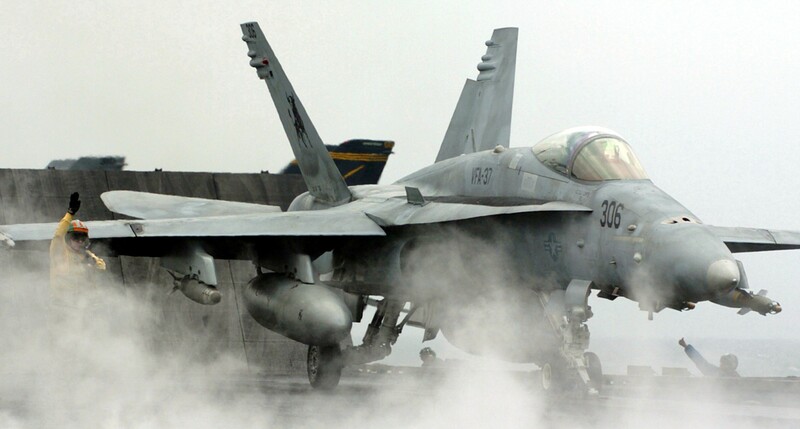 The airwing concluded combat operations on Mar. 18, 2005. 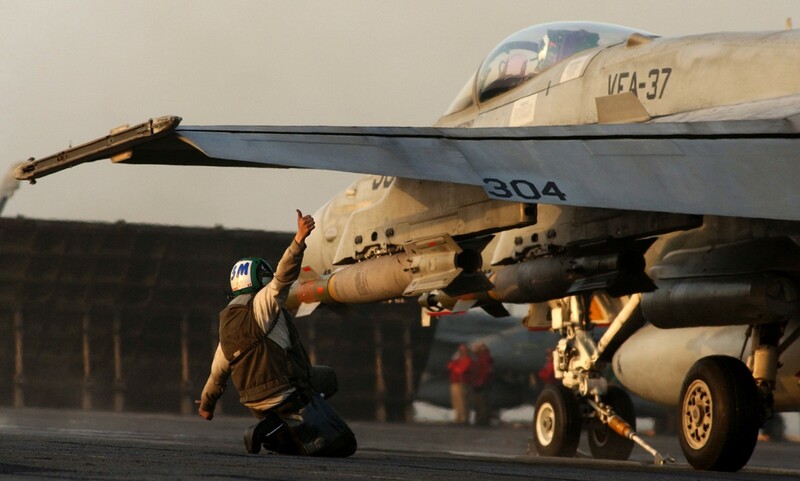 At the completion of VFA-37's campaign the squadron had flown 430 combat sorties logging over 2100 hours in support of Operation Iraqi Freedom. 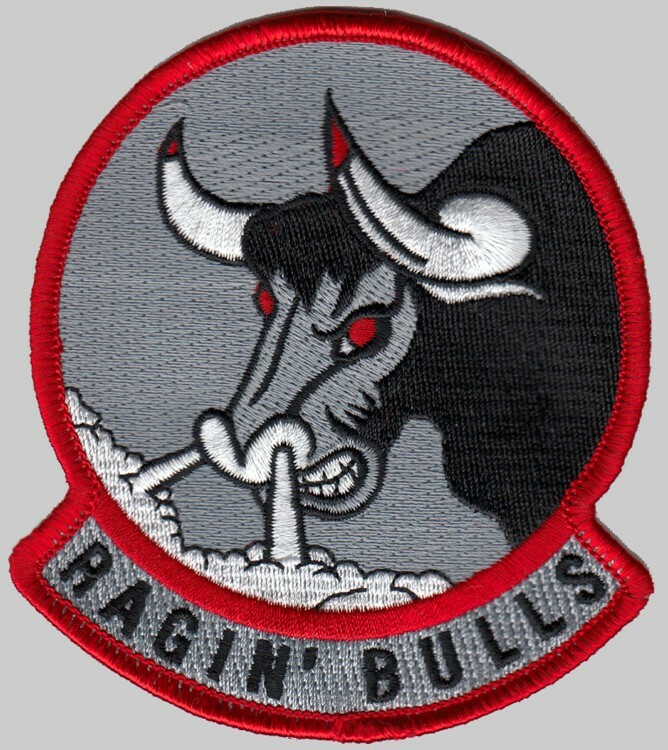 2007 marked the 40th anniversary of the Ragin’ Bulls. 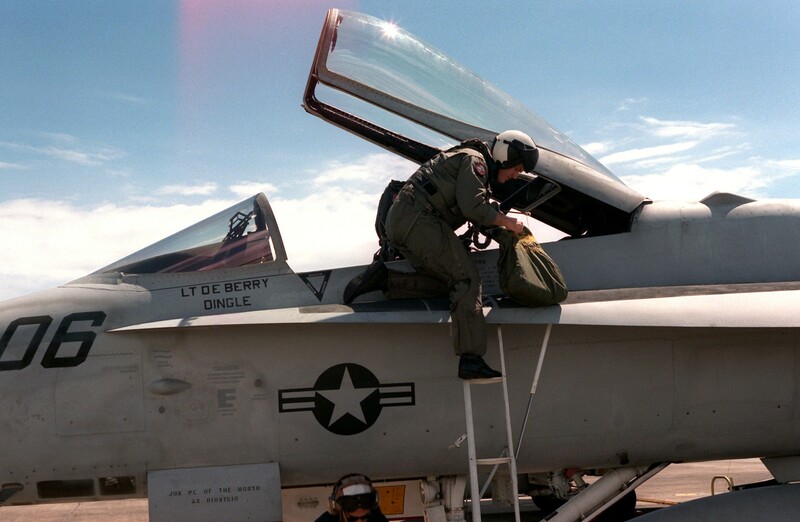 After completing several sustainment operations with Carrier Air Wing Eight the year prior, VFA-37 began work-ups with CVW-3 for another deployment. 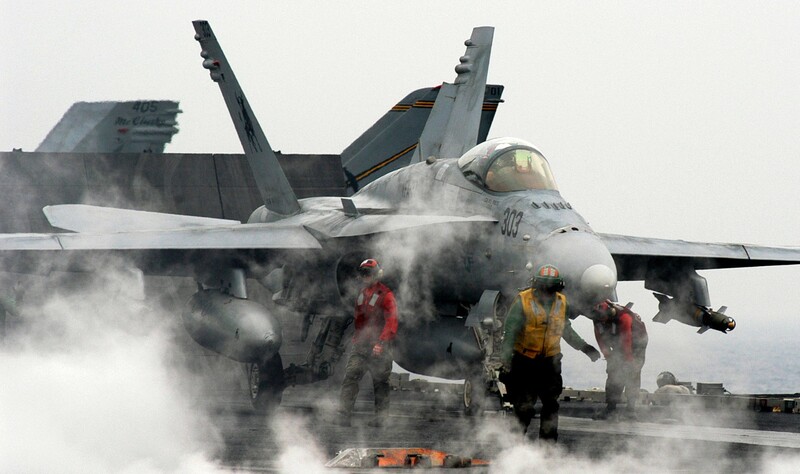 The Truman strike group departed Virginia on Nov. 5 2007 to provide support for Operations Enduring Freedom and Iraqi Freedom. 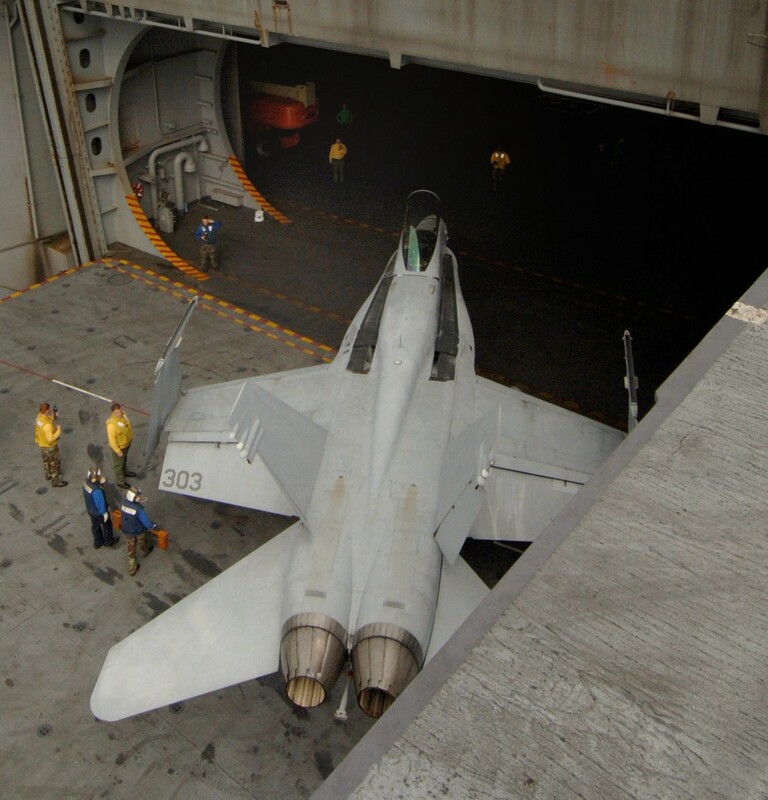 The squadron returned from cruise in June of 2008. 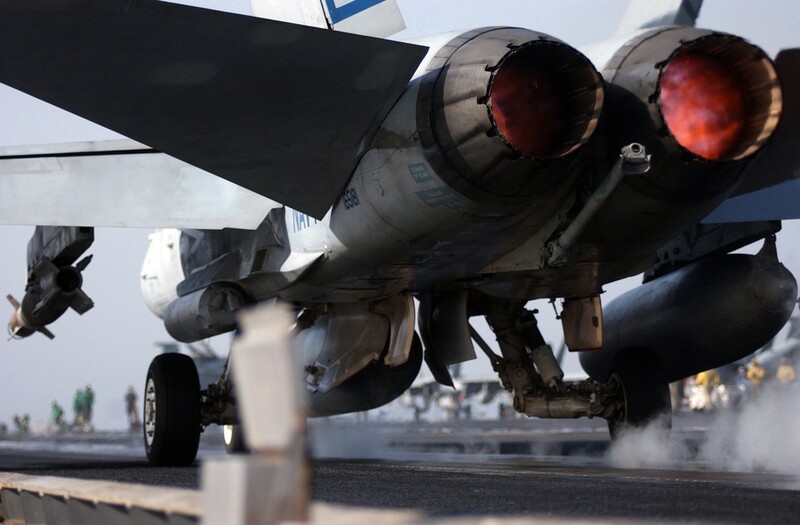 After returning from the 7 month deployment the Bulls underwent a period of sustainment. 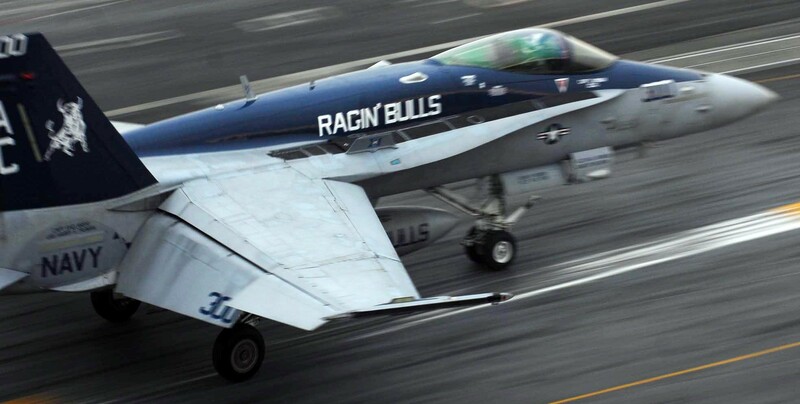 The Ragin’ Bulls of VFA-37 are currently attached to CVW 8.